We export an assortment of Gas Range which is fabricated using premium quality raw material. Our gamut provides a viable option for preparing a wide range of food. 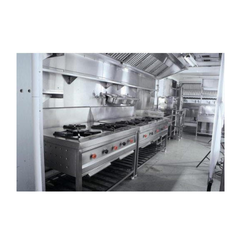 The gas ranges which we offer to our client include four Burners, Chinese Cooking Range, Roomali Roti Station etc. 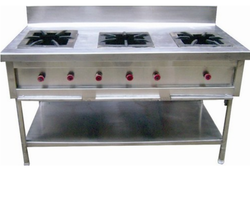 We are one of the leading manufacturers & suppliers of Chinese Gas Range. We obligated to meet the quality standards as per the customer demand. 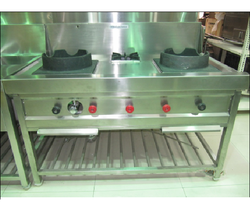 We are one of the leading manufacturers & suppliers of Three Burner Gas Range. We are suppliers of Gas Range with Gravy & Masala Containers, these are used for commercial kitchen made up of high-quality material.